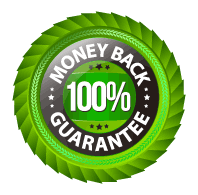 The Latest released DevOps Tools Engineer Questions and Answers on Pass4itSure - High Pass Rate and Money Back Guarantee. Free DevOps Tools Engineer Demo Download. Pass4itsure.com offers Questions and Answers that will help you to get well prepared for your DevOps Tools Engineer . These questions are selected by our professional expert team which are designed to test your knowledge and ensure your understanding about the technology. With our materials, you will sure to pass the exams and get the DevOps Tools Engineer certification.